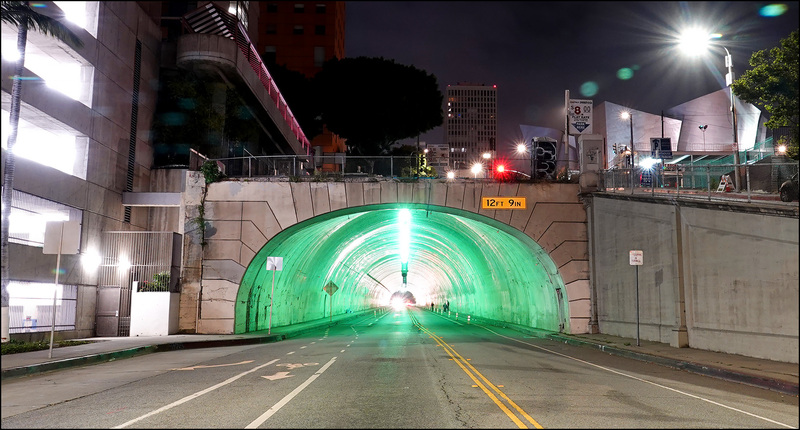 Here’s the latest in my Overexposed LA™ series: a nighttime view of the not-especially-famous 2nd Street tunnel, all lit up in green. At the top right is the much-more-famous Walt Disney Concert Hall, designed by Frank Gehry. I have an overexposed picture of that too, which I’ll show you in a couple of weeks.